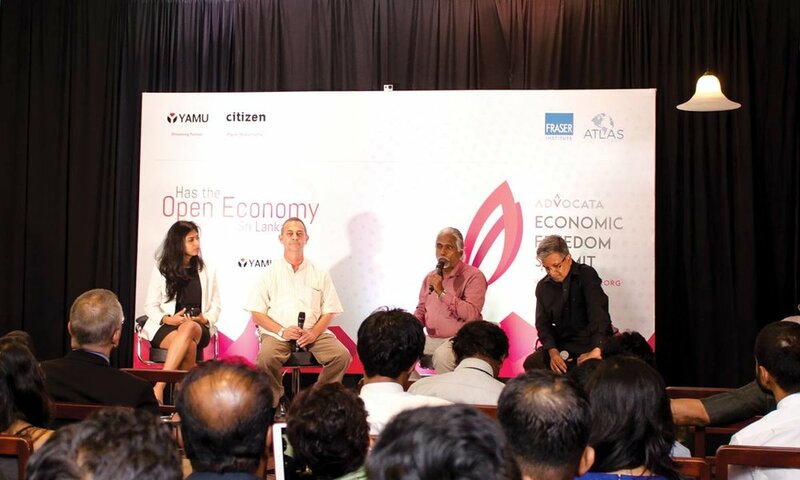 EFS Kick Off : Has the Open Economy Worked in Sri Lanka? 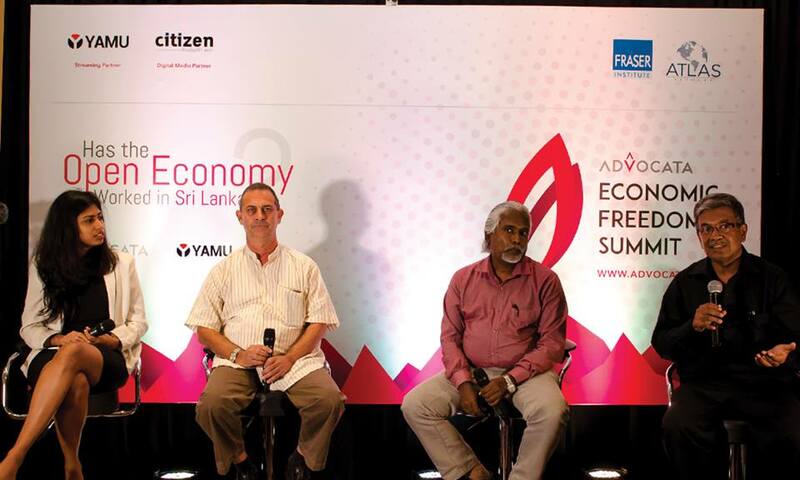 Advocata Economic Freedom Summit kicked off with a panel discussion on “Has the Open Economy worked in Sri Lanka?” It was the historic year of 1977, that the voters used the power of the ballot to remove a government promoting a restrictive state-controlled socialist oriented economy that stifled growth and opportunity. Political change often is associated with economic change; since 1977, Sri Lanka has gradually opened up its economy- but to what extent has progress been made? Forty years after the political change Advocata wanted to revisit the debate with representatives from both sides of the debate as the front-runner to the Economic Freedom Summit and policy audit in partnership with Canada’s Fraser Institute and Atlas Network. Arguing against the opening up of the economy, Mr. Vinod Moonesinghe, a journalist and political researcher, argued that Sri Lanka inherited a colonial economy from the British, dominated by a mercantilist class who were not interested in investment, a gap that needed to be filled by the state. He argued under the closed economy era of ‘72 the state invested in Plantations and other industries; coincidentally, there was a great deal of innovation associated with state investment in these sectors. By pointing to the the examples of the protectionist policies of East Asia before the countries in the region opened up its economies , especially South Korea and Taiwan, he argued that a closed economy was needed, at least in the short run to provide a platform for Sri Lanka to project itself when the country is ready to adopt a more free trade regime. Mr Ajith Perakum Jayasinghe, a well-read political observer and blogger disagreed with the notion that Sri Lanka in fact opened up the economy in 1977. He said that only partial reforms were done in ‘78. 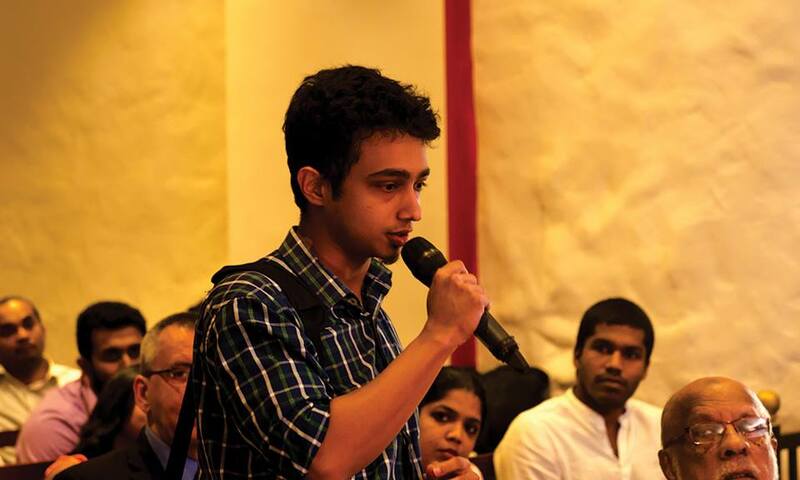 Alluding to the anti-SAITM protests, Mr Jayasinhe argued if Sri Lanka did really open up there wouldn’t be protests on the street calling for the denial of education freedoms of people. Calling himself a ‘socialist’, Mr Jayasinghe said the best way forward is a liberalized but regulated economy. On the other hand, Mr. Chanuka Wattegama, believed that the reforms in the post 1977 era has definitely worked although much remains to be done. Establishing comparisons of pre-1977 era and since, he substantiated his stance by showing how freer trade translated into tangible benefits that ordinary citizens can relate to, like greater choice and increased incomes. The point of conflict was the question of innovation- which economic system facilitates it better? Whilst admitting that certain East Asian economies has some success under industrial policy and a degree of protectionism, Mr Wattegama vehemently disagreed with the notion that closed economies spurs innovation. “Then North Korea and Cuba would be the most innovative countries” he claimed. Mr Wattegama went on to cite the obvious disparity of quality between the inferior computer printers made in India under a closed market regime,compared to the far superior Epson printers available at the time. 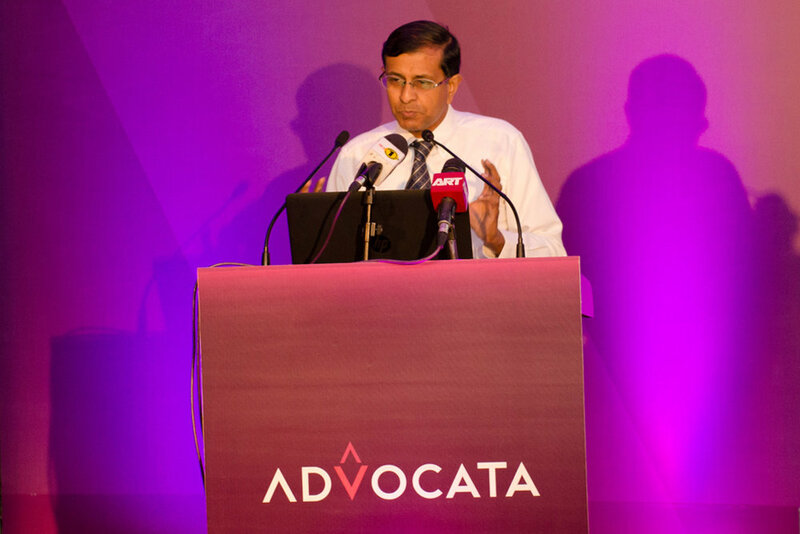 As mentioned in his opening and subsequent statements, Mr. Moonesinghe continued to oppose this notion. 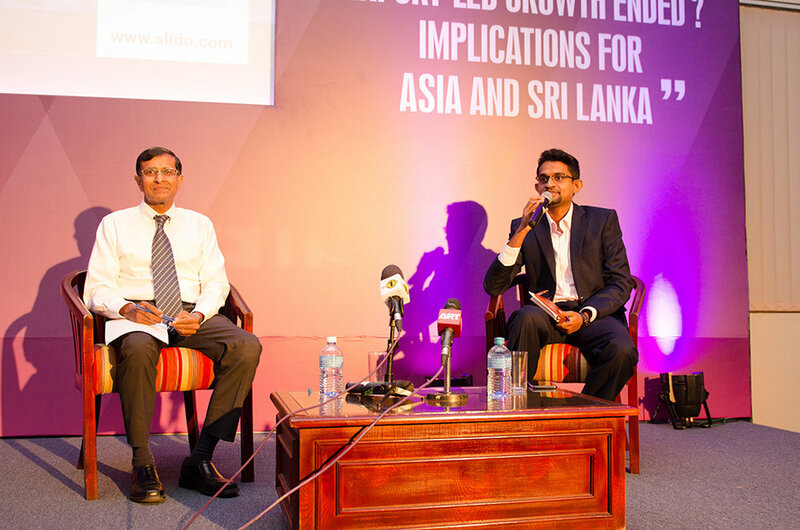 The audience questions and the panel made up for a passionate discussion that addressed a key division in the economic policy debate in Sri Lanka. The event was streamed online by YAMU TV and the video can be accessed through the following and now available on Advocata’s youtube channel. Dhananath Fernando, the COO of Advocata said that the institution is committed to providing a platform to discuss contemporary issues in an accessible way. Dr Ganeshan Wiganaraja delivers public lecture : Is the era of export-led growth over? 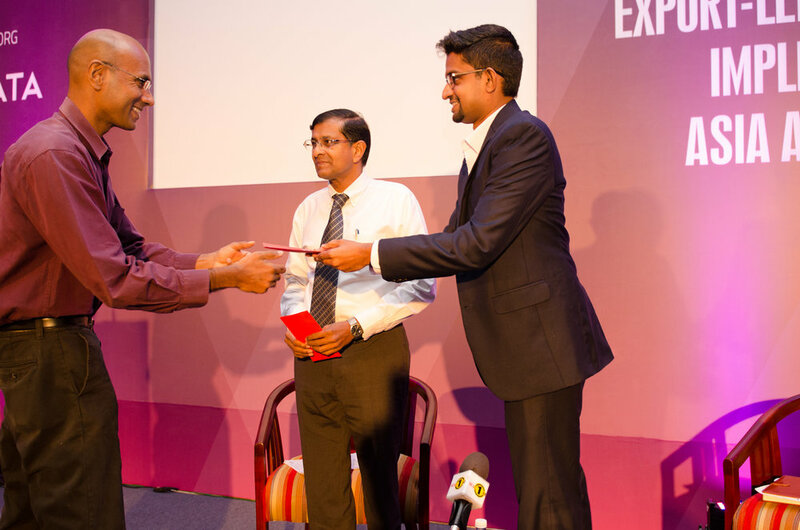 Sri Lankan-born economist Dr Ganeshan Wignaraja delivered a public lecture on the question of whether the era of export-led growth is over. Dr Wignaraja is an advisor to the Asian Development Bank with decades of experience in various development organizations, focusing on Asia. As Asian trade slows down and with the increase of protectionist rhetoric from the west, the model of the East Asian countries, i.e. the export-led growth has been called into question. Dr Wignaraja says that although the returns to such models have now become less, and it is now more difficult, he does not believe the era of export-led growth is over. For Sri Lanka, he says basic reforms in trade liberalization in the areas of 'para tariffs' is needed, as well as improving delivery, and price quality of services and products. Sri Lanka has failed to get into global value chains with the exception of garments. It hasn't happened in the BPO/ICT sector as expected, said the ADB economist. Dr Wignaraja says that as China now is moving up value chains, rising wages and a upwardly mobile middle class is making China follow the model of Japan and subsequently South Korea in higher value added production and building innovation capability. This opens up opportunities for Sri Lanka and other ASEAN countries argues Dr Wignaraja. Sri Lanka could attract export oriented Foreign investment from China to replace some of the labour intensive activities. In a new more difficult trading regime, trading in services is likely to emerge as an important avenue of trade growth says Dr Wignaraja. Sri Lanka should focus on reforming internal barriers to trade in services by addressing skill gaps, trade barriers and infrastructure requirements in the area of basic power and digital infrastructure. With the expected death of the US-led Trans Pacific Partnership (TPP), the China-focused Regional Comprehensive Economic Partnership (RCEP) is likely to come to fore as the major multi-lateral trade agreement in the region says Dr Wignaraja. Whilst Sri Lanka should pursue free trade agreements with India, China and other Asian countries, the correct sequence is to figure out the domestic reform agenda rather first and enter into trade agreements rather than the trade agreements dictate the reforms warns Dr Wignaraja. Commenting on the use of Industrial policy and the government picking winners and sunshine industries in a country like Sri Lanka, Dr Wignaraja said that industrial policy requires a high-level of government capability, which at the moment Sri Lanka lacks, and in such an environment, it's better to follow the market-led approach rather than try out sophisticated industrial policy measures according to the economist. Dr Wignaraja also urged the policy makers to look into safety-nets and pay attention to the losers of trade liberalization, as addressing their concerns are vital to build support for trade liberalization. 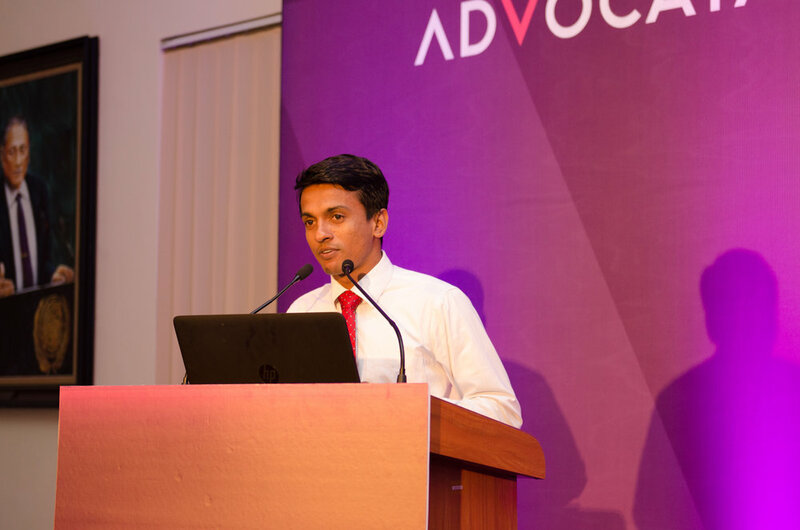 Continuous high deficits and cumulative public debt has been one of the driving factors behind the Indian Ocean Island economy’s macroeconomic volatility is adversely affecting the investment climate, one of Sri Lanka’s budding economist said recently. “High government borrowing levels influence higher interest rates, crowding out private investment. Recent BoP (Balance of payment) weakness has been largely influenced by external debt repayments with implications for the depreciation of the Sri Lankan Rupee. At other times fiscal expansion drives imports, contributing to BoP stress and depreciation of the Rupee. Episodes of inflation in the past were influenced by then Central Bank’s accommodative monetary policy to ease stress on government debt servicing,” said Senior Economist Deshal De Mel at a public forum.